Picking what kind of furniture would look and sit the best in your kid’s new room can be a bit tricky especially, if your daughter or son has the tendency to be a bit picky about what they like and dislike. You will also have to take into consideration, the fact that they might be going through some kind of phase like a fairy princess, Spiderman or something else when you do the refurbishing of the room. However, in between all these little factors, you must also as a parent pay attention to the essentials that your kid’s room needs if it is to be neat, safe and attractive. Here are some of the kid’s room essentials that you must not forget to buy. 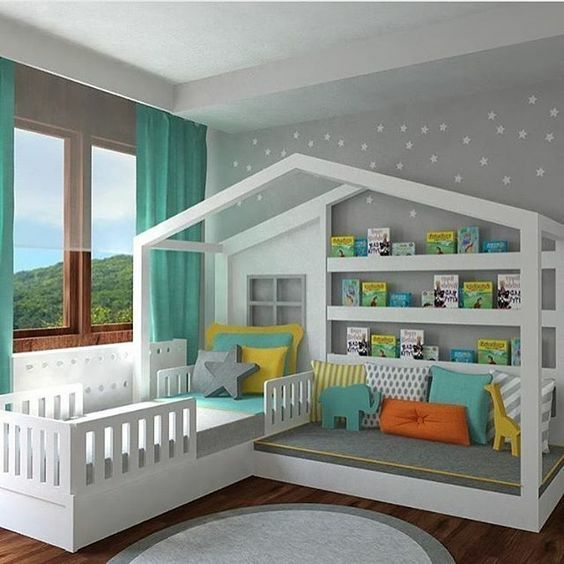 The focal point of the kid’s room will most often turn out to be the bed. Your child will use it to watch their favourite programs, read story books and even entertain their friends. That is why you need to make sure that it is the right size and that it is comfortable. Most often, a single bed is more than enough. But, make sure that the mattress you choose is one that will support their back and neck really well. Kids are growing up fast and sleeping or even sitting in the wrong posture every single day will cause a lot of damage to them. If your child is really small you can attach a sort of side railing on the bed until they have grown up to a level where they will not fall off the bed and hurt themselves. Next, comes the seating in the room. Most parents will not really think about this option because there will definitely be a table and a chair for study purposes in the kid’s room. But what about the times when they are not studying and just want to get to a relaxing position and read a story book or maybe even play a game? A very good option for this would be children’s bean bags because they come in bright colours, the perfect sizes and are safe and very comfortable. Not only will you kid enjoy them a lot, there will also be minimal damage because unlike wooden or expensive chairs they cannot scratch these and if there is a small tear you will be able to mend it easily. This is one more area where a lot of parents tend to fumble a bit. You need to consider the fact that you really do not need too much space in this because the amount of clothing that your kid will have are limited. Pick a simple closet that you can manage and if needed something that your kid can handle too. A few shelves and hangars neatly packed with the bottom most levels having the most often used clothing will be more than enough so that even the child can get to pick their outfits if you are not around.